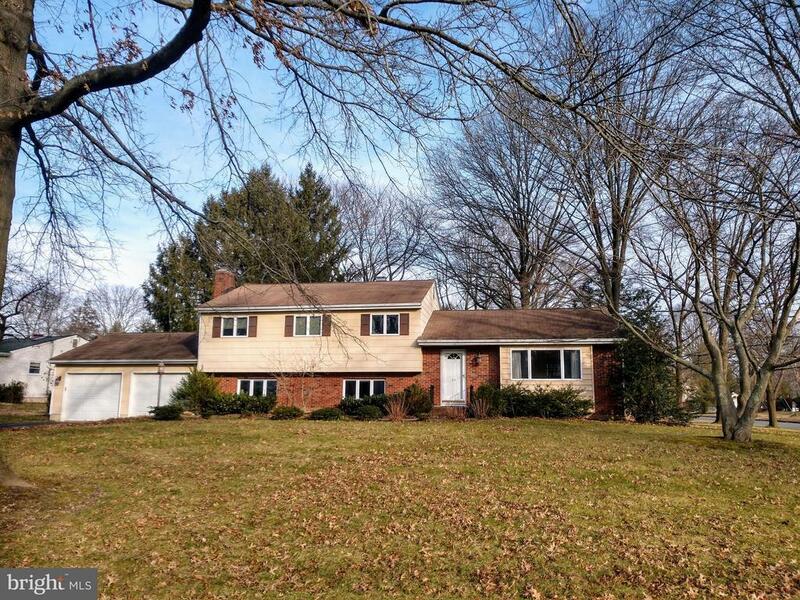 Surprisingly spacious Northern Ewing Split on a wonderful lot! The main level is filled with natural light and includes the foyer, a large living room that is open to the dining room and adjacent Solarium, as well as thoughtfully updated kitchen. With just a few step to the lower level there is a huge family room with central fireplace, laundry, convenient powder room, and a flexible bonus room that works well as an office, gym, hobby, or bedroom, etc. The upper level features a remodeled hall bathroom with jet tub, and three ample bedrooms including the Master with walk-in closet and en-suite bathroom. Hardwood and ceramic tile floors are throughout as well as generous closets with custom organizers. In addition there is a large attached garage, basement, and sundeck overlooking a big back yard. A tremendous value that will be hard to beat! Photos taken prior to tenant occupancy but are an excellent representation of how the home shows today.